We have seen tons of accelerometer-based racing games, where you turn your device to steer. And this is another one in the crowd. But there are a few features in this game that makes it special: Circuit designer, where you can create your own shape of racing tracks. Also, the augmented reality track designer, which draws path as you move a Red Bull can in front of your phone. Cool, isn't it? You can even share your tracks on facebook and challenge your friends. 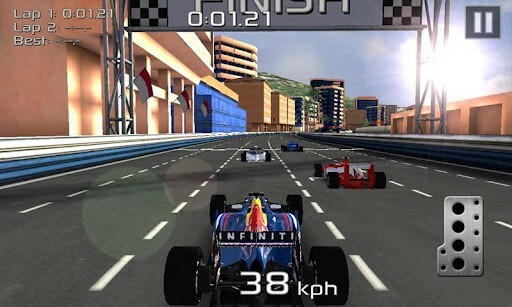 A pass-and-play mode which is mostly a race-against-time type of racing game. The game overall is very stable with negligible lags. So, far, I just experienced one, which I doubt was because of my Tablet. The controls are well calibrated. The graphics are beautiful! But sometimes, you might experience an out-of-control situation while turning, which might get fixed in future versions. 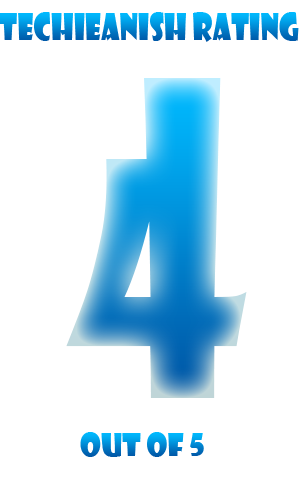 5 out of 5 after the few lags are fixed!